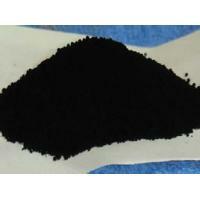 Beilum Carbon’Carbon Black For Ink Features:High Blackness,high tinting strength,blue tone,good dispersion,etc. The choice of pigment carbon black depends on the undertone, jetness, and gloss required. Toner is a powder used in laser printers and photocopiers to form the printed text and images on the paper. In its early form it was a mix of carbon powder, iron oxide, and sugar. Then, to improve the quality of the printout, the carbon was melt-mixed with a polymer.Toner particles are melted by the heat of the fuser, and bound to the paper. Modern laser toner cartridges intended for use in color copiers and printers come in cyan, magenta, yellow and black. Our Carbon Black Pigment For Toner and Printing ink has very good blackness,can competitive with Degussa/Cabot/ Mitsubishi / Columbia Grade..
Beilum Carbon Chemical Limited is a China based company specializes in research & development and production of Carbon Black Pigment and Carbon Black.With a strong focus on research,we are constantly discovering new avenues and technologies that will allow us to provide our clientele with the highest-quality products at the most competitive prices.